Hello, I am pleased about your interest in becoming an active blogger for F&M and F&M Oblivion, what I am looking for is to create a group of medieval-fantasy enthusiast bloggers to help promoting my creations. 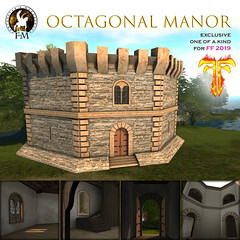 F&M and F&M Oblivion are focused on medieval/fantasy role-play so this mean its creations cover a wide range of interests (Male and female clothing, hair, furniture, buildings, garden, etc. ), I would love if you are flexible enough to be ready to blog not just one kind of those products. Your blog has to be older than 6 months and active (means at least one post per week). You are ready to blog F&M or F&M Oblivion products preferably twice or more during a month (this can include older items that can be delivered on request), and anyway not less than once a month. 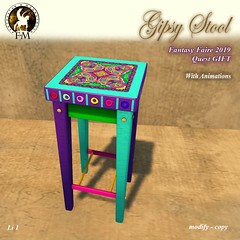 You will be invited in the inworld FANTAVATAR & MOONSTRUCK Gold group and there send notices whenever you make a post for F&M or F&M Oblivion (this is where I will check your activity so do not forget to send the notice!). Every notice has to clearly list the product name and the web link to the post. You are aware that if you do not post for F&M for a long period (1 month) you will be removed from the Bloggers List, but you can re-apply later if interested. You have a Facebook account. Please ensure to have read and understood what is outlined above, failing in adhere guidelines will lead to be removed from the bloggers list. Now please fill the Application form and you will be soon contacted if selected. The princess in the snow…. Can you help Mrs. Wise?